Staying active and exercising is one of the best ways to age gracefully – that much is obvious because it keeps our bodies limber and active. Now, more and more research is showing that physical activity may potentially lower the risk of Alzheimer's disease and other dementias as we age. A recent study published in the Journal of Alzheimer’s Disease suggests that exercise might be a simple way for people to cut down their risk for memory loss and Alzheimer’s disease, even for those who are genetically at risk for the disease. According to the study, individuals who spent at least 68 minutes a day doing moderate physical activity had better glucose metabolism – which signals a healthy brain – compared to others who had less physical activity. The study also showed that seniors with poor fitness levels have a higher deterioration of white brain matter than their fitter counterparts. “White matter” – millions of bundles of nerve fibers – act as connectors to different areas of the brain. As these connectors deteriorate, so do the communication pathways, which causes physical deterioration and a decline in decision-making, along with other executive functions. It’s important to remember that “correlation does not equal causation” as we look at results from recent studies. Cognitive decline is a complex issue, and there is no magic pill that enables scientists to say this or that will help individuals from developing dementias or memory-related issues. Studies haven’t yet been able to rule out all the factors that can influence cognitive decline, and they don’t explain yet how exercise actually affects the brain. 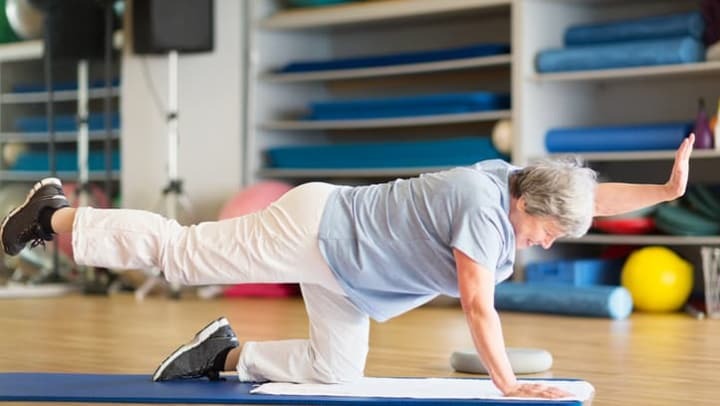 However, based on past research and information from experts, here are five ways exercise may affect the brain and help individuals maintain cognitive function as they age. In a recent study from the University of British Columbia, it was discovered that regular aerobic exercise appears to increase the size of the hippocampus. This part of the brain is associated with learning and verbal memory. In an indirect way, exercise can help thinking and memory by reducing inflammation, stimulating the release of growth chemicals in the brain, reducing insulin resistance and generally improving the survival of new brain cells as they’re created. Exercise also improves sleep patterns and emotional mood, which reduces anxiety and stress – which are both factors that can affect cognitive decline. Based on research done on rodents, a key benefit of exercise could be the creation of new brain neurons. Studies have shown that regular exercise has been linked to neurogenesis – the creation of new brain cells. This helps keep certain cognitive skills sharp, including memory and reasoning. It’s been proven that increased aerobic capacity boosts brain function, cognition and structure, as well as improving moods and emotions. This does more than just preventing how the brain changes – it can actually diminish cognition changes if they’ve already happened. Exercise makes the heart beat faster, which increases blood flow to the brain – one of the biggest factors in keeping the brain healthy. Physical activity also increases levels of brain-derived neurotrophic factor (BDNF), which has been proven to protect, repair and grow brain cells. Based on this information, what’s the best type of exercise to maximize the benefits on your brain? According to experts, the answer is aerobic exercise. Running, swimming and other activities that get the heart pounding pumps the most blood to the brain. At the same time, strength and resistance training also increase heart rate, and while the link between that type of exercise and brain health hasn’t yet been established, research is showing that it plays an important part in physical health overall. So what’s the best thing to do? Start exercising if you aren’t already, and make sure you do a combination of strength and aerobic exercises. How much exercise do you need to do? Even as little as 10 minutes a day can improve physical health and increase cognitive function. Generally, physicians recommend a half hour of moderate physical activity five days a week, but as long as you’re healthy, more is always better. Walking is one of the easiest, most low-impact exercises you can do. However, if you don’t enjoy walking, you can choose from a variety of other exercises like stair-climbing, tennis, basketball or swimming. And don’t forget the benefit that comes from household chores like raking leaves or mopping floors. The best exercise is one that you enjoy – whether that’s doing yoga twice a week at your gym, or walking around the mall with a group of friends or even dancing to the radio in your kitchen. Choose activities that you love that won’t be something you dread doing. Anything that gets your heart pumping, your blood flowing and your energy up will have you reaping the benefits. If you or a loved one are considering senior living, we invite you to get an inside look at our lifestyle by scheduling a tour. See how our lifestyle can enhance your life and change the way you view senior living. For more information or to schedule your tour, call us at 616-281-5170. Each day, our residents find the person-centered support and care they need, all while enjoying an inspiring and engaging lifestyle. The need for care or support doesn’t stop our residents from wanting to be active, involved or engaged, and it especially doesn’t keep them from obtaining the lifestyle they desire and deserve. With a variety of spacious private apartment floor plans, constant access to good company, exciting services and amenities, delicious dining experiences and life-enriching programming, residents never have to worry about having nothing to do. There’s always something waiting for them just outside their door! And best yet, if they desire space and privacy, there’s also plenty of room for that, too! Spend time outdoors in the sunshine, read a favorite book in the library, take your pet for a walk or simply relax in your private apartment, the possibilities are endless! At Azpira Place® of Breton, residents never have to worry about maintenance, housekeeping or the tasks of homeownership. We created our community so our residents could have the peace of mind of care while focusing on what really matters, what makes them who they are. With engaging VIVA! programming by Pathway to Living®, residents can spend their newfound time learning something new, enjoying an old pastime, taking up a new hobby, starting their own classes and clubs or focusing on their health with our wellness programming. Experience the lifestyle you deserve and discover the key to what helps Azpira Place of Breton residents Live Well. Age Well. Be Well. To learn more or schedule a personal visit, call us at 616-281-5170.